World Read Aloud Day is 2 Weeks Away! World Read Aloud Day is a day to connect with another person through the joy of reading together. Now is the time for the entire community to get involved in WRAD to make reading visible to the world. The simplest, easiest thing you can do to invest in a child's future is to read aloud to her. We are busily planning our New York celebration and we invite you to join us at the final stop on our WRAD Bus Tour at Books of Wonder. Our grand finale will include special guest author read alouds and a performance by the Story Pirates. Full details here. Get to know our network of WRADvocate Partners and Ambassadors who are spreading the Read It Forward movement far and wide by mobilizing their communities for WRAD. Visit the WRAD blog often to see the great global initiatives lead by our reading rockstars around the world. Help spread the World Read Aloud Day movement on social media. 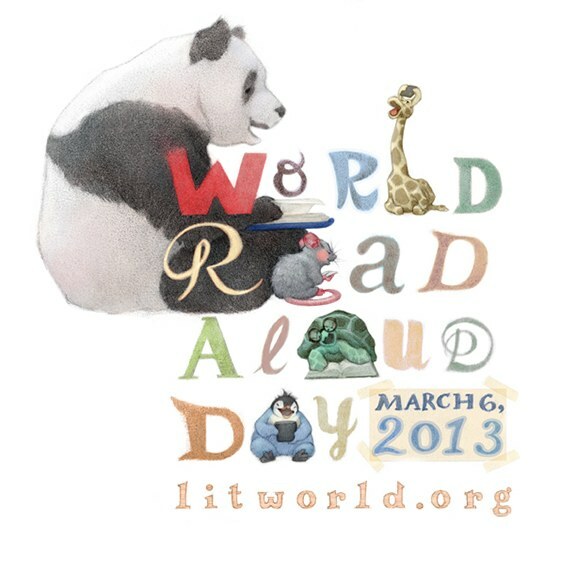 Join our Facebook event and use the WRAD logo as your avatar. Newer PostReady. Set. Read! World Read Aloud Day is One Week Away. Older PostAn Action-Packed Week for Global LitClubs!